A new charity appeal was launched in Scotland this week on behalf of heart research and Daily Business understands that a number of businesses are being lined up to offer their support. Among those who attended Wednesday’s Heart of Scotland launch, led by Heart Research UK, were Alastair Ross of the Association of British Insurers, and Ramsay Jones, former Number Ten special adviser. Scottish fashion designer Christopher Kane made the trip to the Balmoral Hotel in Edinburgh, while others such as the historian Neil Oliver, the actor Billy Boyd and former Doctor Who Sylvestor McCoy sent messages of support via a video screen. All wore a Kane-designed t-shirt which will be sold as part of the fund-raising effort for vital medical research into the prevention, treatment and cure of heart disease. Barbara Harpham, Heart Research UK chief executive, welcomed guests with the stark message that 41 people die in Scotland each day from heart disease. “Most people in Scotland will have been touched by heart disease, the nation’s single biggest killer,” she said. 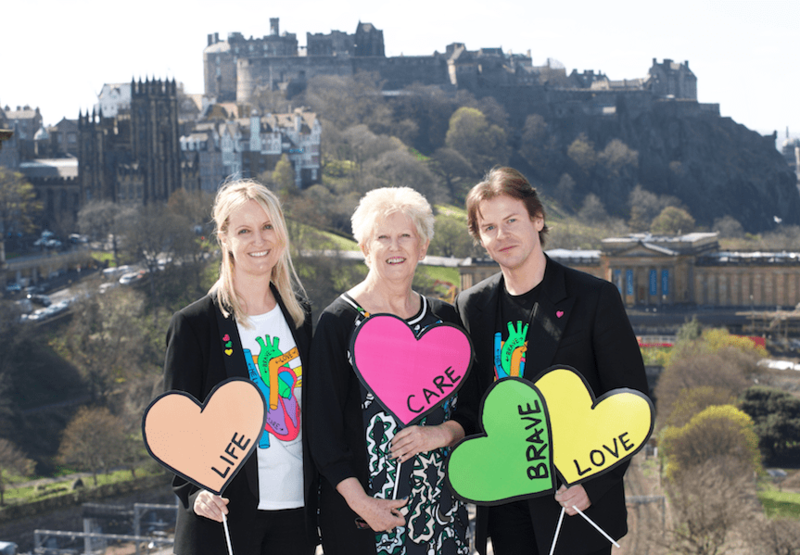 “The Heart of Scotland appeal is an opportunity for Scots to take on heart disease together.